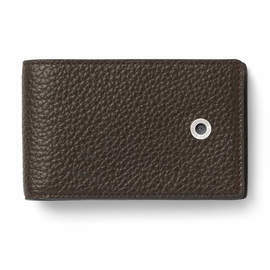 Graf von Faber-Castell's leather business card case is part of the Cashmere range, combining timeless design with robust functionality to make perfect travel accessories. 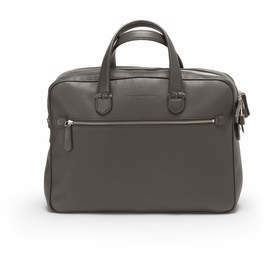 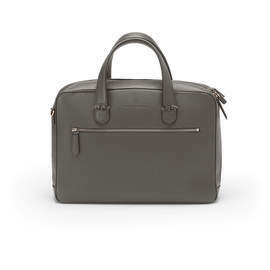 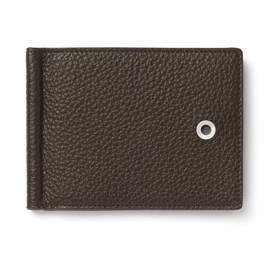 The case features dark brown or black grained calfskin leather on the exterior, with a hard-wearing orange Alcantara leather inside. 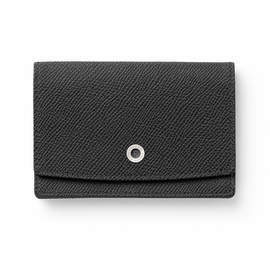 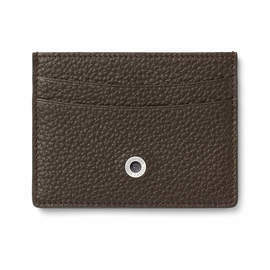 The fold-over flap uses a snap fastener to secure the business card compartment. 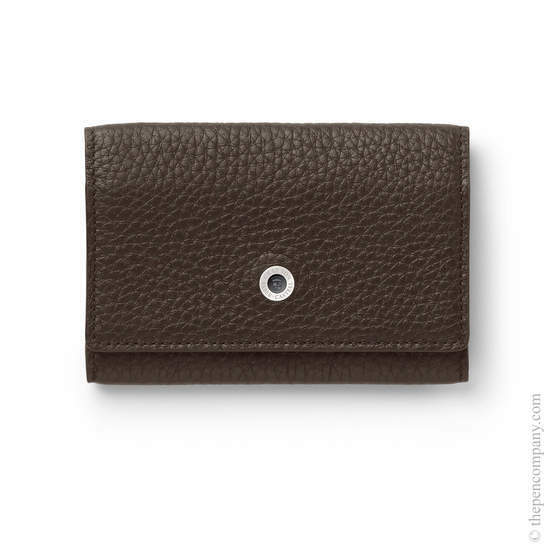 Handmade in Germany.